For example makeup or environmental impurities accumulate on the skin during the day, penetrate deep into the skin pores and cause damage to elastin and collagen. This eventually causes fine lines and wrinkles. Similarly, UV rays in sun light are responsible for wrinkle formation (1). Tocopherol, a form of Vitamin E, boosts collagen production in the skin and helps it look younger, by reducing the appearance of fine lines and wrinkles (2). Damage caused by sun’s UV rays create harmful free radicals which tend to cause skin aging. Vitamin E is a rich lipid-soluble antioxidant which neutralizes the free radicals and prevents wrinkle formation (3). Dryness is also one of the common trigger for wrinkles. The moisturizing property of Vitamin E helps to prevent wrinkles by hydrating the skin and making it look moist and supple (4). Vitamin E can be used in different home remedies to treat wrinkles. It can either be used directly as Vitamin E oil obtained from capsules, or in a combination with other natural ingredients. For your convenience, we have listed the methods with a step-by-step by process below. Honey helps to hydrate the skin and protects it from damaging toxins (6). Yogurt improves the elasticity and moisture content of treated skin. Lemon juice works towards tightening pores, bleaching age spots and preventing wrinkles. Coconut oil is very rich in essential fats, nutrients, vitamins and antioxidants (7). It helps to prevent early signs of wrinkles and skin aging. Olive oil nourishes and moisturizes the wrinkled skin, in order to keep the elasticity and firmness intact (8). It is rich in anti-oxidants which fight against the skin damaging free radicals. Vitamin C helps to fight against harmful free radicals which can damage skin tissues, resulting in wrinkles and fine lines (9). It also helps to strengthen the immune system, preventing wrinkle formation in the long run. It is recommended to use warm/lukewarm water to wash off the Vitamin E oil face masks instead of cold water, unless specified otherwise. Cold water does not guarantee complete removal and may leave some pores of the skin clogged. Vitamin E oil has an irritating effect on the eye conjunctiva, leading to redness and excessive watering. Hence, be careful it doesn’t enter into the eyes while applying on face. If it enters the eyes, wash eyes multiple times with cool water till the irritation decreases. It is better to use readily available organic Vitamin E oil from a bottle instead of extracting or squeezing it out from capsules for daily application. 400 mg a day of Vitamin E in the form of capsules/supplements is considered to be a safe and effective method for treating wrinkles. However, if you are taking iron supplements along with Vitamin E, it is better to consult a doctor since vitamin E supplements may interfere with iron absorption in the body. In the recommended daily amounts, Vitamin E is considered to be safe for pregnant as well as lactating women. However, to avoid any complications, it is advisable to talk to a medical practitioner before using it as supplements during early pregnancy. Limit alcoholic beverages when using Vitamin E combinations as a regular natural remedy. Vitamin E supplements may interact with certain drugs and increase the risk of bleeding. So, if you are already on any medication, confirm with your medical practitioner before taking Vitamin E capsules/supplements. Avoid smoking. It damages the skin and lessens the beneficial effects of Vitamin E on it. Include plenty of vitamin E rich foods in your diet – raw seeds, mustard greens, turnips, kale, hazelnuts, pine nuts, broccoli, parsley, apricots, red bell peppers and tomatoes. Always apply sunscreen lotion to the exposed parts of the body before venturing out into the sun. These exposed body parts are very prone to drying out and wrinkling. Use a light, oil-free moisturizer before bedtime/after Vitamin E oil applications in case of excessive dryness. Get plenty of sleep and include healthy saturated fats in your diet along with a good amount of antioxidants for wrinkle reduction and healthy skin. Drink adequate amounts of water throughout the day to keep the skin hydrated so that it doesn’t dry out, leading to premature aging and wrinkles. Did you find the remedies provided in this article helpful? Which combination are you going to try on your wrinkles first? Do share your thoughts, experiences and questions with us. We would love to hear from you. When purchasing vitamin E oil or supplements, choose the ones that contain D–alpha tocopherol and avoid those that contain Dl–alpha tocopherol. Why? and what is the difference? D-alpha and Dl-alpha. I didn’t pay attention to this detail and end up buying the one Dl-alpha. Dl-alpha is a synthetic form of vitamin E so it is better to avoid it. While D-alpha is natural form so it provides you effective results. I was in our health food store yesterday to buy Vit. E. capsules to add to my Aloe Vera face mask. They were out of them but she mentioned using pure Vit. E. that comes in a bottle so there is no piercing the capsule to get the oil out. Is this the same oil as in the capsules? Yes, you can vitamin E oil if in case you don’t find capsules. Can I use Vitamin E right from the capsules, without add anything to it? Or do I need to add my eye cream to it? I have dryness under my eyes and dark circles and fine lines. You can use vitamin E right from the capsules. Can you use Vitamin E right on your under eyes, without mixing it with other eye cream. Or do I have to mix? Yes, you can apply vitamin E oil directly without applying any night cream. 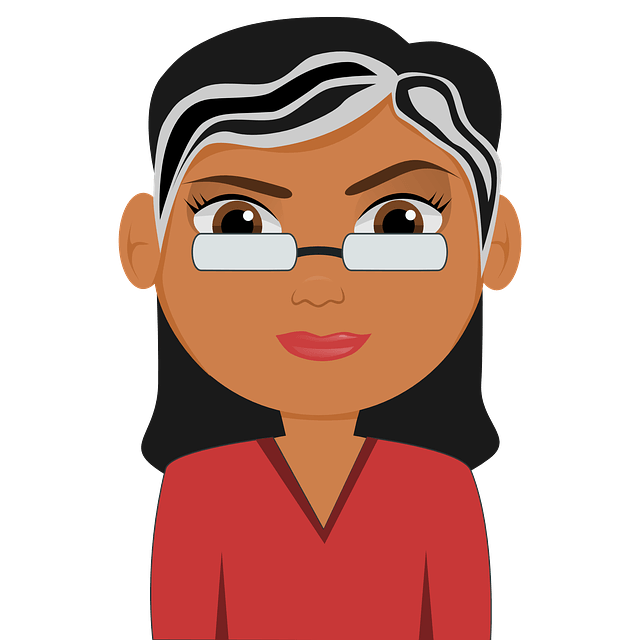 Quick question…how many drops of vitamin E oil are in one capsule?I have a bottle of it and the recommended daily dose is 4 drops. The daily recommend dosage of vitamin E oil on the bottle should have been for internal consumption. A capsule usually contains 2 drops of vitamin E oil. Yes, you can. Try the method regularly for achieving the results and don’t forget to share your experience. I’ve been using Vit E from health shop … 6 caps of 400’s mixed in 2 Tbsp of aloe vera gel from health shop also , and add 1 or 2 drops of lavender and rosemary essential oil, pour into a little 30 ml pump bottle and apply am and pm… and love it . Keeps skin soft and moisturized without the sticky feeling of just the E oil alone. After that I apply moisturizer on top. I have a bottle of vitamin e DL alpha using on my face I want to know if I am wasting my time or I , should I get rid of it and buy a vitamin e D alpha? Thank you. Can I use vitamin e cream instead of the oil and there capsule? I mix 2 teaspoons of olive oil with 2 teaspoons of Vaseline with 3 capsules of vitamin E …..can I save the leftovers and for how many days in refrigerator or room temperature?…. 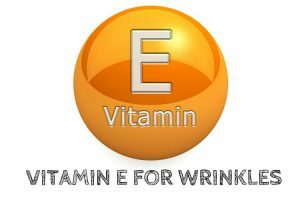 Will Vitamin E also help wrinkles on your neck and hands as well as it helps the wrinkles on your face? Hi does VitvE oil directly from the bottle help with dark circles under the eye and puffiness?. Also if using from the bottle how many drops must i use for under the eye wrinkles and my forhead and round my mouth and smiling lines? Im not sure how many drops to use?. If i am using the drops to Alo Vera gel how many drops of Vit E drops and how much Alo Vera Gel do i use to mix it together and apply to my whole face and neck? Can i sleep with it on and wash off in the morning? And can i aplly this everyday in the evenings before bed time? Please, do you mean that dl-alpha vitamins E is not good? I have already bought one made by fruit of the earth (USA) and this is my first time of using the vitamine E only. What can I do please? I have a lot of wrinkles. Sensitive skin, oil and always with pimples.